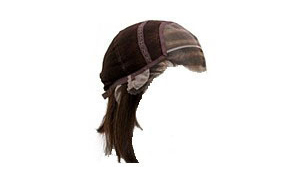 Cap Size This Wig comes with the elastic strap. 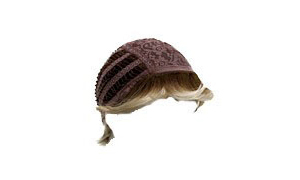 This provides additional comfort, as well as confidence your wig won't fall out, or get blown away by winds. Lace Front Wigs offer the most natural appearance at every angle. 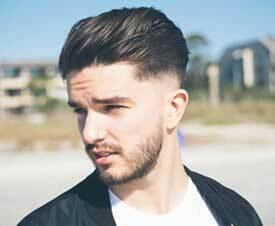 Lace Front Wigs can add to your existing hairline and create an impression of the hair growing from the scalp, thereby making it difficult to discern whether the hair on your head is artificial or natural. Standard Order: It will take 3-5 business days to produce wigs and hair extensions. Lace Front Wigs Order: It will take 5-7 business days to produce your wigs. Full Lace Wigs Order: It will take 7-10 business days to produce your wigs. 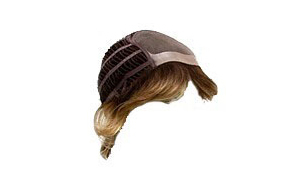 Monofilament Wigs Order: It will take10-13 business days to produce your wigs. It will take 2-3 business days for you to receive your items. Standard Order: It will take 5-7 business days to produce wigs and hair extensions. Lace Front Wigs Order: It will take 7-10 business days to produce your wigs. Full Lace Wigs Order: It will take 10-13 business days to produce your wigs. Monofilament Wigs Order: It will take 13-16 business days to produce your wigs. Lace Front Wigs Order: It will take 13-15 business days to produce your wigs. Full Lace Wigs Order: It will take 15-20 business days to produce your wigs. Monofilament Wigs Order: It will take 29-33 business days to produce your wigs. We will deliver your order via DHL/ RPX/UPS. Our customer service department may need 1-2 business days to process your order, according to credit card approval, address confirmation, and availability of our products. Normally, our postage is $10 per order. You can enjoy free shipping for any orders over $99. Pay attention to that we are not responsible for any duty or tax which will be charged by customs for international express. If there is any duty or tax which charged by local customs, buyer should pay this duty or tax so that receive parcel from customs. The refund cannot be issued if buyer refuses to pay it. we cannot ship via a traceable method to any post office boxes. Delivery time cannot be guaranteed nor can the package be tracked. We encourage all deliveries be made to a physical address so packages can be tracked. Tips: If you have any questions about size, please contact us in time and we will make a suggestion for you quickly. A human hair wig is durable, generally costs more and has the most natural look and feel of any wig you can buy. It also can be dyed and treated the same as any human hair that grows from the scalp. Wash Submerge your wig in cool water. Mix in a small amount of Shampoo for synthetic hair. Soak your wig for 3-5 minutes. Gently swirl without rubbing. Dry & condition Place on a folding wig stand, spray with a Leave-in Conditioner, and allow to air dry. DO NOT WRING OR SQUEEZE. It is advised you take it to a professional stylist for restyling. For a synthetic wig, a simple shake and go method works just fine. Place the wig on its wig stand and use hot rollers or a curling iron on a low setting to style the hair to your liking. You can clip and pin different sections for a change of style, but as you get used to the wig, you will most likely find that you do not have to do anything at all to maintain its style. 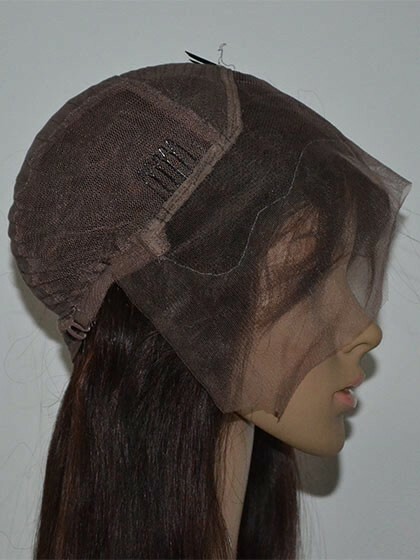 Made from rows of wefts that have been machine-sewn together into a basic cap. Hence, they are also known as machine-made wigs. 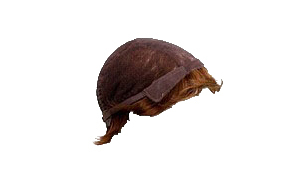 It doesn't have an underlying solid cap so that also known as cap-less wig. Normally there are two materials can be selected, one is remy human hair, the other one is synthetic hair. Here is comparison of features of them.